With all of the confusion that has erupted of late with the current administration arresting and deporting many, many immigrants—including those that have not been convicted of serious crimes—there’s also been a significant amount of confusion over detainers, which are issued to local police departments by Immigration and Customs Enforcement (ICE) informing them of undocumented immigrants and legal permanent residents who could be deported. While President Trump ordered that a list be compiled of all the recalcitrant local law enforcement departments that failed to turn these individuals over to federal officials, at the same time, federal lawsuits in various states already declared that accepting detainers without judicial warrants was unconstitutional and, in fact, these local counties could be held liable for following through on these detainers. Many cities are now stuck in a battle between ICE and what the federal courts have dictated. The issue was recently highlighted by the New York Times because Nassau in Long Island, New York was erroneously included in the recent government report as being a non cooperative jurisdiction. However, the Nassau County Sheriff’s Department was one of the first to agree to accept administrative warrants from ICE, and was even criticized by immigration advocates for being too aggressive and breaking from the policies many departments enacted pursuant to the federal court decisions that these detainers were unconstitutional. Nassau has not only cooperated with ICE, but has even allowed ICE to have a permanent presence in the county jails and given ICE agents free reign to interview inmates, some say without the appropriate legal constraints or processes in place to ensure that inmates’ rights are protected. As pointed out by New York’s Commissioner of Immigrant Affairs, federal courts have repeatedly held that immigration detainers are optional requests and cannot be made mandatory under the Constitution. In 2014, the New York City Council did enact local laws which allowed for some cooperation with ICE if detention orders included a judicial warrant and the person in custody had been convicted of one of 170 serious felonies (such as robbery, homicide, etc.) within the last five years. Prosecuting Sanctuary Cities for Crimes? 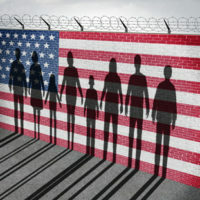 Certain other areas of the country are following suit in refusing to cooperate with illegal detainers: Travis County, Texas, for example, announced that unless individuals in the County jail had been charged with murder, aggravated sexual assault, or human smuggling (specifically), they would be allowed to post bond and released, despite requests from ICE. However, some governors have also come out against these sanctuary cities and counties, suggesting that they, the local governments, should themselves be prosecuted for crimes. Many are now calling the request for this “list” of recalcitrant local law enforcement departments that failed to turn these individuals over to federal officials an act of shaming, or an attempt to embarrass these sanctuary cities and counties into complying with ICE requests, no matter what the circumstances. If you live in any area of New York or New Jersey and have been the victim of an unconstitutional detainer, we are here to help. Contact Phillip J. Murphy, criminal defense attorney, today for a free consultation.